As of his latest update, about 500 people have co-signed John Scalzi's anti-harassment policy, meaning they either support it or are willing to implement it at conventions. 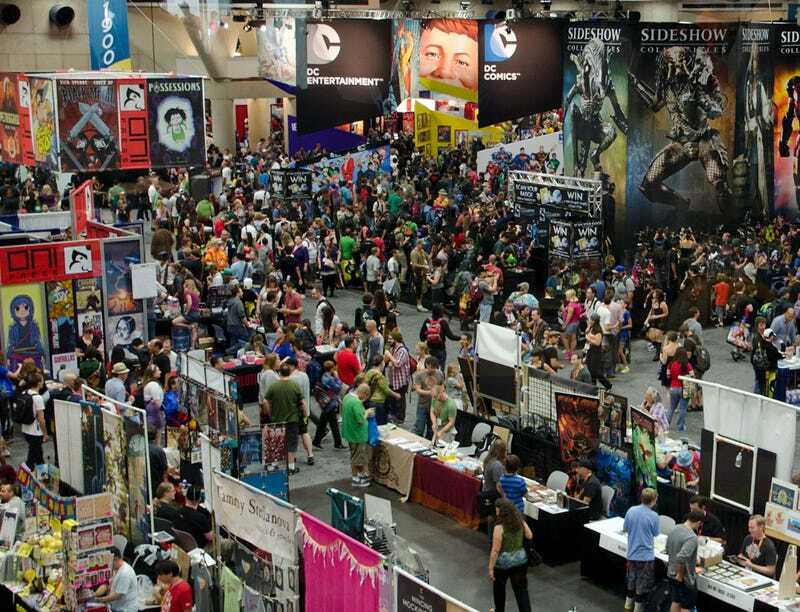 So far ALA Annual, Context Convention, Geek Girl Con and Readercon have tweeted that they are on board as well, which means cons may soon be safer and more fun for all! For those of you who missed it, Scalzi provided a space for his friend Elise Matthesen to share her experience with harassment at cons with the world. Shortly after, the award-winning Sci-fi author took a bold step and announced that he would not be appearing as a guest at any conventions that did not have a clear harassment policy in place. His latest update also addresses questions like "You can't do this," "You'll be left out of some cons," "You're just doing this for feminist points," and the inevitable "What about free speech/political correctness/oversensitive people/the good old days?" It's a fun read, as Scalzi's posts usually are, and even better, it's a voluntary step made by a heavy hitter in the genre. I'd call that progress. So while Scalzi is not outlining the harassment policy for every con himself, he is stating that any con that would like to host him as guest must have a clear and enforced policy in place.